A physical and well-experienced threat on the pitch, Andrew Durutalo has made a name for himself as both a sevens and fifteens National Team Player. Born in New York City, Durutalo moved to Fiji where he attended Suva Grammar School and captained for the Fiji U19s in the 2006 World Junior Championships. Years later, the then-emerging athlete earned a full scholarship to Hakuoh University in Japan where he earned a degree in Business and moved back to the United States to continue his pursuit of international rugby. In 2012, Durutalo earned his first cap with the Men's Eagles against Canada, suiting up for three consecutive matches then moving on to score his first try against Japan the next month. After spending the next several years continuing to impress, Durutalo was selected to be part of the Men's Eagles 2015 Rugby World Cup Team. 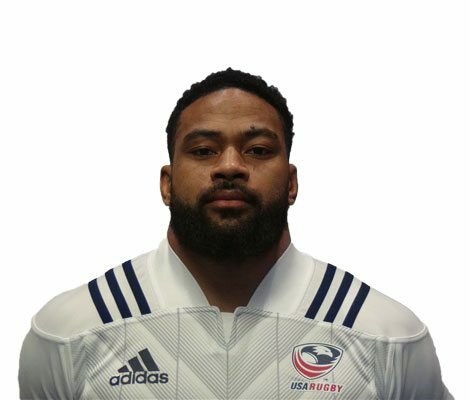 Success quickly gave the athlete an opportunity with Super Rugby's Sunwolves, after which he rejoined the Men's Eagles on the sevens side for the 2014-15 HSBC World Sevens Series and was even named to Team USA's 2016 Rio Olympic Games roster. Continuing to grow his caps in both sevens and fifteens Durutalo has been a regular presence with both the Men's Eagles and Men's Sevens throughout his extensive rugby career.